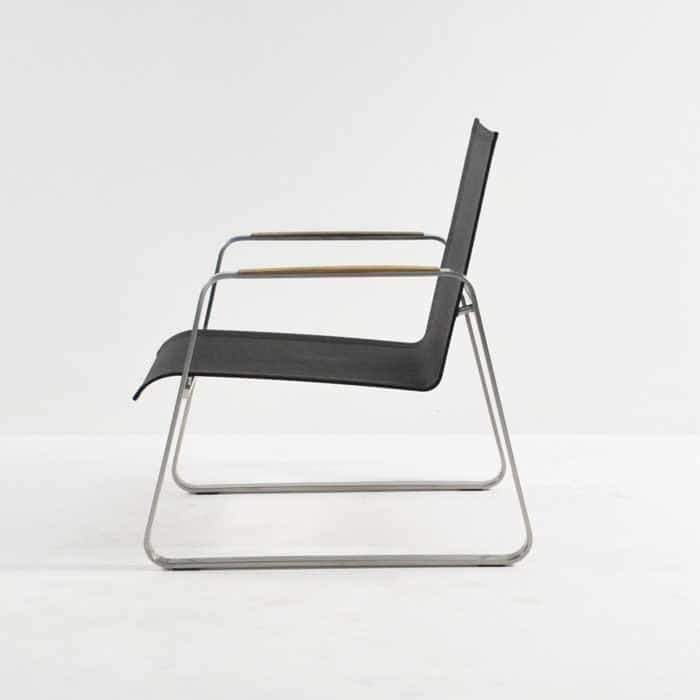 Searching for a chair that is not only comfortable, but effortlessly chic? 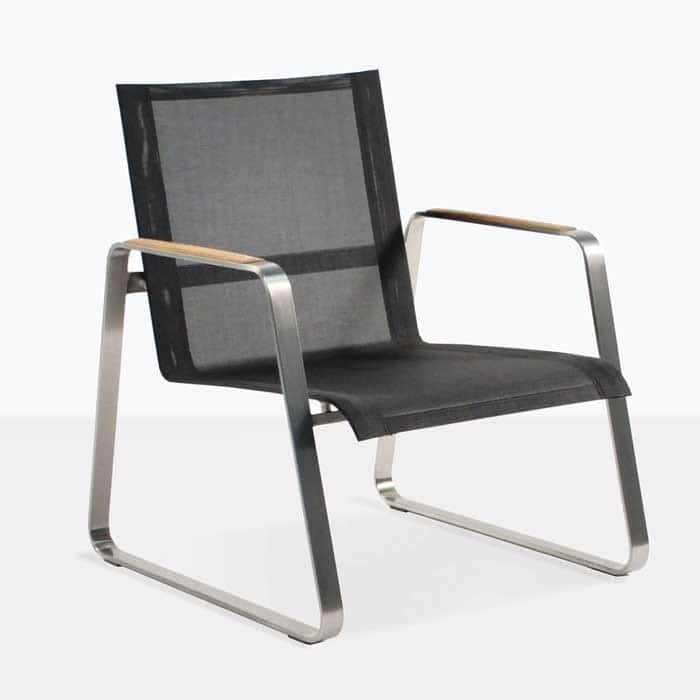 Look no further than our Summer Stainless Steel Batyline® Relaxing Chair in striking black! 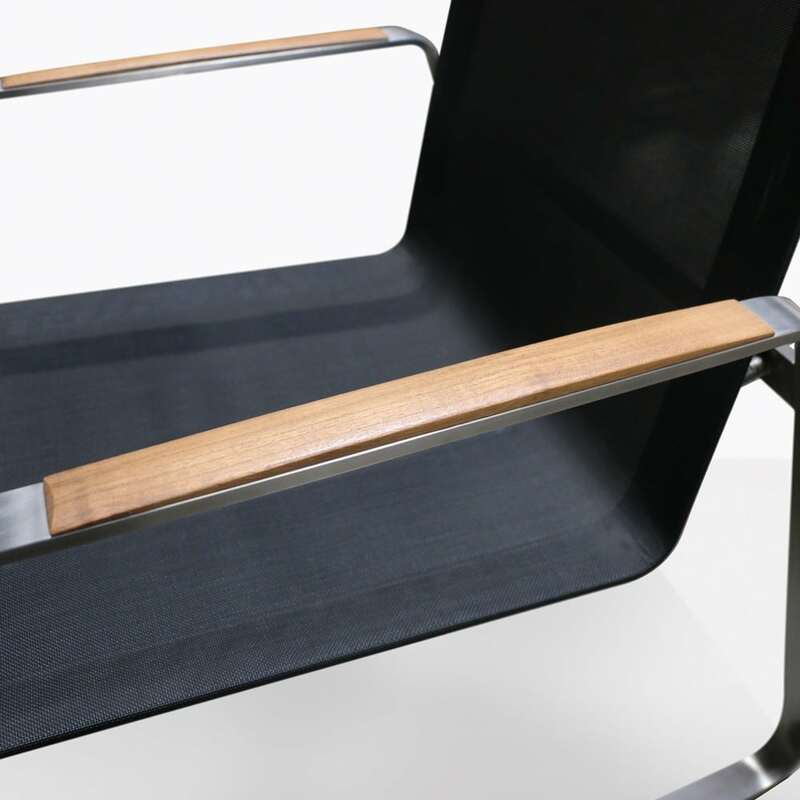 The Summer Relaxing Chair has a unique blend of quality materials that make it not just a piece of furniture, but a piece of art. 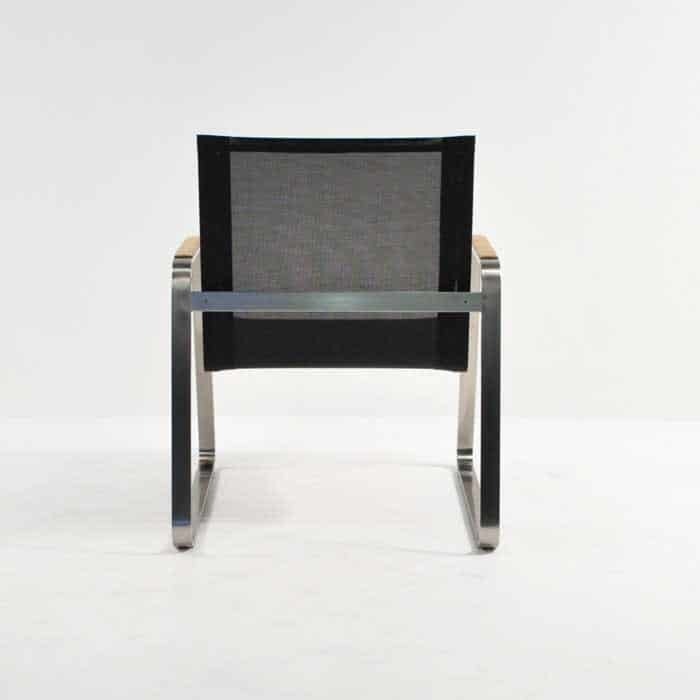 This Relaxing Chair has a low profile, sleigh like legs and a sleek look that is sure to impress! 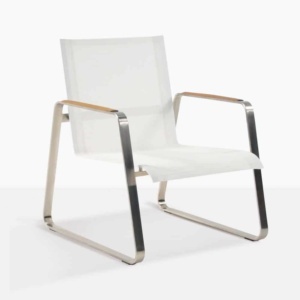 Our beautiful Summer Low Armchair features a marine grade (#316) stainless steel frame with an A-grade teak finish and high quality Batyline® mesh fabric for long hours of relaxation and comfort. Perhaps you’ve got a perfect little balcony for enjoying the view over a glass of cold Sauvignon. Place two of these chic, sophisticated Summer Chairs in Black facing the vista, with a gorgeous Summer Side Table to finish off the look. You’ll be spending hours enjoying the resplendent comfort of this stylish suite. Thinking a piece this glorious couldn’t possibly be right for outdoor use? Think again! 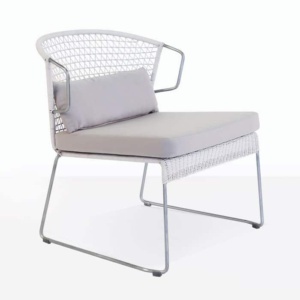 The Summer Mesh Relaxing Chair is designed so brilliantly, it is perfect for year round use outside! The high quality black Batyline® mesh fabric is designed for the outdoors with UV protection preventing the mesh from fading and deteriorating. The fabric is easy to maintain and clean and for added summertime comfort, the mesh is breathable, allowing for free airflow through the seat and back rest, keeping you cool and relaxed. The lightweight marine-grade stainless steel frame has an appealing contemporary design. Marine grade (#316) means the stainless steel is resistant to corrosion and is ideally suited for outdoor living, especially in marine environments and by a pool. A teak wood finish on the armrest is another unique, stylish feature of this low-profile armchair, adding a touch of sophistication to outdoor living. 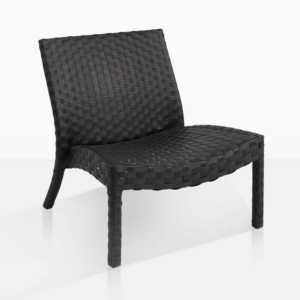 The Summer Relaxing Chairs are available in black, white or taupe mesh fabric to suit your preference and outdoor living environment. 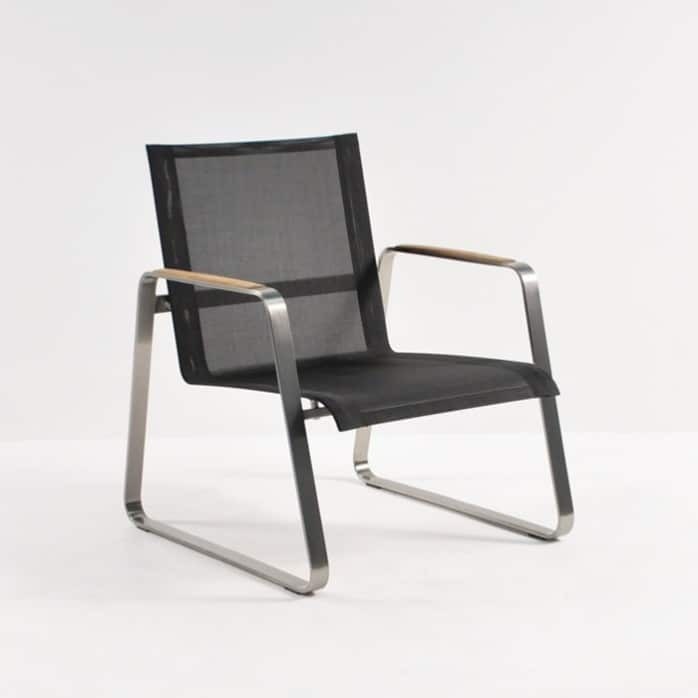 Call Design Warehouse today to order your Summer Chair. You’ll thank us later.